I'm Shilpa Roy. I work as a project manager with an IT major. I'm Sanket Prabhu. I'm a motivational speaker & leadership coach. I work with corporates and leaders and help them achieve desired outcome in the area that matters to them the most. I'm Rohan. I'm an aspiring coach and I have gone through both the modules of NLP - the Practitioner as well as the Master (Practitioner). 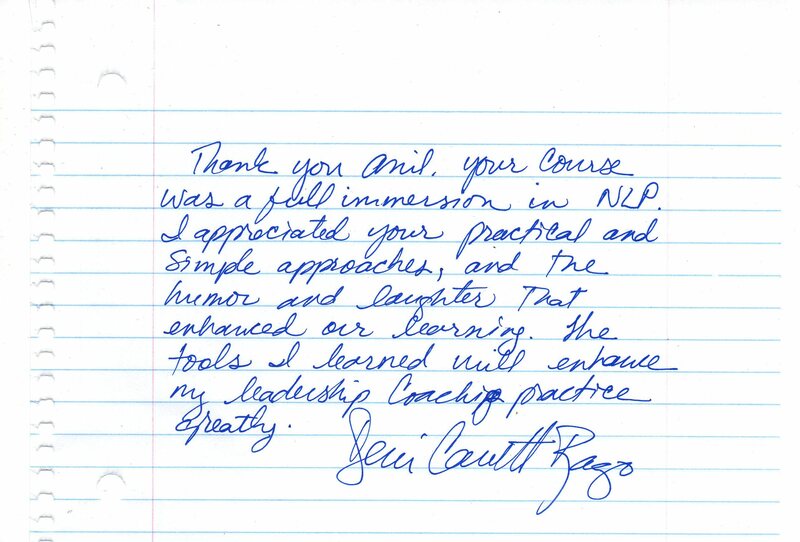 Thank you Anil, your course was a full immersion in NLP.